For the record, my favorite was Yancey Strickler from Kickstarter. He gave a moving presentation. That company is making dreams come true. But apparently I am shallow and here are pictures of some of the famous people. 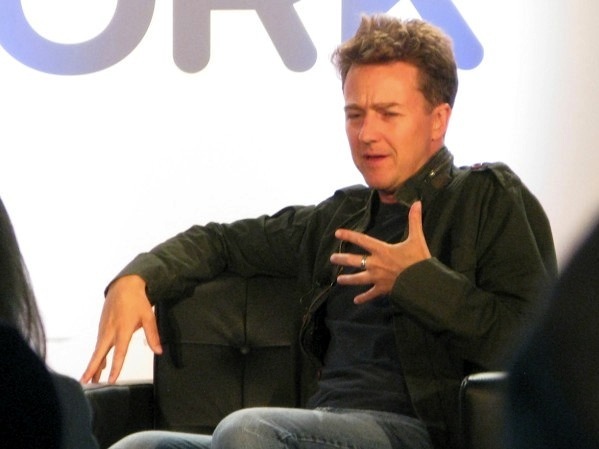 Ed Norton was there to talk about Crowdrise, which is like Kickstarter for charities, and Norton is one of the founders. I hope he saw Strickler’s presentation. 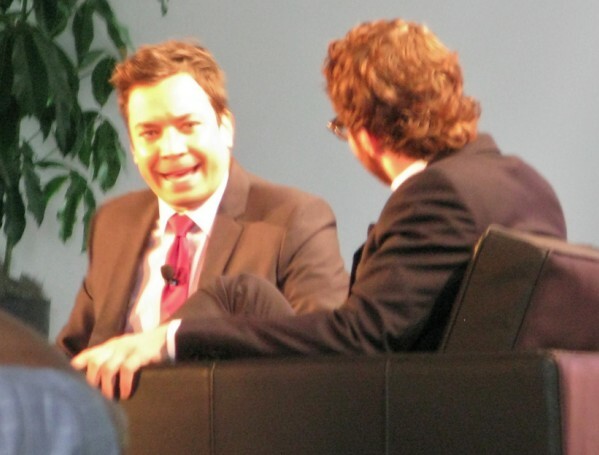 Fallon was there to interview Sean Parker (Napster, Facebook, now a venture capitalist). This picture is terrible, I know. I’m sorry Jimmy Fallon. He looks demonic. But he was incredibly funny and all ad-lib (mostly, I think). Seriously, he was stunningly funny. No. He was demonically funny.